Turkey’s Prime Minister Tayyip Erdogan will start a third term of one-party rule strengthened by Sunday’s decisive election victory but also burdened by the need for consensus to push ahead with plans for a new constitution. Erdogan will have to focus first on a pressing foreign policy issue right on his borders: unrest in neighbouring Syria has led to nearly 7,000 Syrian fleeing to Turkey to escape a brutal crackdown by forces loyal to President Bashar al-Assad, with more coming every day. But analysts said Erdogan also must find ways to revive a stalled bid for membership of the European Union and break down French and German reluctance to let Turkey in. Erdogan, whose AK Party has transformed Muslim Turkey into one of the world’s fastest-growing economies and ended a cycle of military coups, won 49.9 percent of the vote, or 326 seats, in Sunday’s parliamentary election. The vote was AK’s biggest electoral tally since it first came to power in 2002 but the party failed to win the 330 seats it needed to call a referendum to recast the constitution, written almost 30 years ago during a period of military rule. Financial markets were cheered on Monday as investors saw the mixed result forcing the AK Party to compromise with others to make the constitutional change. The Turkish lira strengthened against the dollar and bonds also gained. “The new constitution requires consensus and dialogue with other parties and the society at large,” Cengiz Aktar, a professor at Istanbul’s Bahcesehir University, told Reuters. Critics fear Erdogan, who has a reputation for being intolerant of criticism, might use the victory to cement power, limit freedoms and persecute opponents. In a victory speech before thousands of flag-waving supporters in the capital Ankara on Sunday night, he pledged “humility” and said he would work with rivals. The new leader of the secularist opposition Republican People’s Party (CHP), which garnered its best result in more than 30 years with 25.9 percent of the vote, warned Erdogan that he would be watching his movements closely. Analysts saw scope for political turbulence in Turkey. “The anticipated preparation of a new constitution has the potential to create significant political uncertainty, as it may well raise profound and controversial issues related to the division of power, secularism, religion, nationalism and ethnic minority rights,” Ed Parker, Fitch’s Head of EMEA Sovereign Ratings, said in a statement issued on Monday. Turkey and Erdogan’s party are often are cited as models for supporters of democracy living through the “Arab Spring” series of anti-authoritarian protests in parts of the Middle East and North Africa. But opponents say Erdogan, whose party evolved from banned Islamist movements, is imposing a conservative social agenda. Since crushing old establishment parties on a wave of support from a rising middle class of religious Turks, Erdogan has challenged the secularist military and judiciary with reforms meant to help Turkey meet EU standards of democracy. He also has set the long-time NATO member and U.S. ally on a more assertive foreign policy course, building closer relations with Middle East countries, including Iran. Some financial analysts had warned that too large an AK majority could polarise a country that is deeply divided over the role of religion and ethnic minorities. A limited majority is seen making the government focus on macroeconomic imbalances, including an overheating economy. 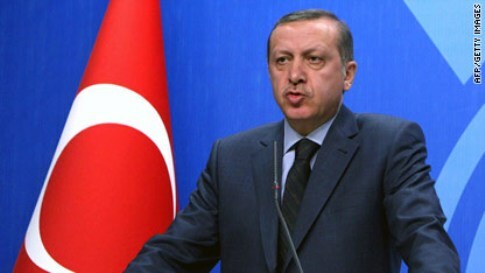 There has been speculation that Erdogan would seek to move Turkey toward a more presidential system of government, with the ultimate aim of becoming president himself. Besides the economy, Erdogan’s government also will need to tackle a separatist conflict in the mainly Kurdish southeast. A strong showing by the pro-Kurdish BDP in the Kurdish region played a role in denying the AK a bigger vote haul.